Birders have an odd, or at least an unusual habit. They spend their time and money chasing and watching and listening to various flying things, often with little to show for their efforts beyond a fond memory and a check on a list. Given the semi-eccentric status with which birders are often regarded, it is also a bit odd and fun that, by 1973, every state in the union had chosen an official state bird. State birds were selected for a myriad of reasons. 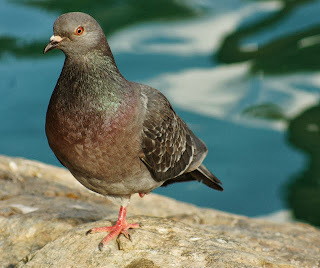 Some birds were chosen because they were beautiful. Others were chosen because they're mostly unique or exclusive of one particular state, and are therefore more iconic. Many state birds are just common and pleasing sights in their respective states, which may in part be why the Northern Cardinal and Northern Mockingbird represent 12 states between them. Some birds possess historical associations, while others have an economic importance. At first glance, it may seem unusual that the California Gull is the state bird of Utah, but to the Mormon settlers it was an invaluable ally against the grain-devouring locust swarms in the Salt Lake area. With its red, black, and yellow feathers, the Yellow Shafted Flicker sported the same colors as Alabama's militia and Civil War regiments. 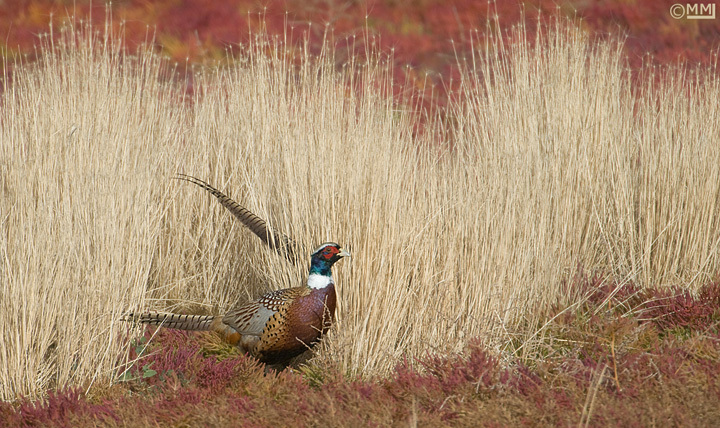 The Ring-Necked Pheasant of South Dakota is not even native to North America, but it brings in substantial revenue with the hunting market every year, and is a recognizable part of the rugged Dakota plains culture. In many cases, the state bird was debated and agreed upon by a state's legislature, and at times even decided by a gubernatorial pronouncement. For some states, there was little debate as to the appropriate mascot. Louisiana already had a pelican on their flag and state seal. Even though the emblem looks more white than brown, the Brown Pelican was installed as the state bird by unanimous decision. It took much more debate to enact the Bluebird as New York's state bird, with representatives of urban constituents lobbying hard for various species of Sparrows and even the Rock Pigeon, on the basis that those birds would be more recognizable to the majority of New Yorkers. 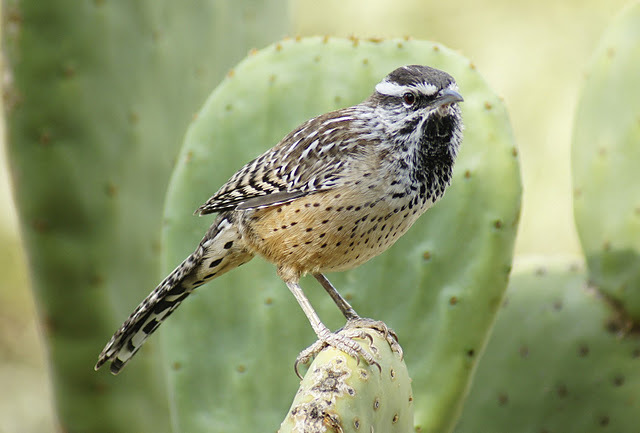 The Cactus Wren was elected Arizona's state bird by unanimous decision on March 16th, 1931. I've always found it to be an interesting decision, given that Arizona hosts so many unique species that are not found elsewhere in North America. 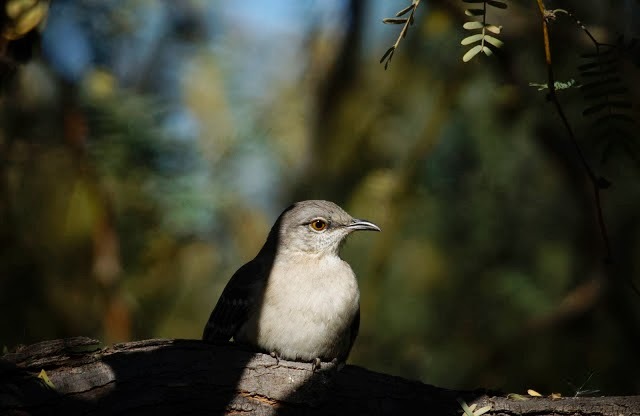 There are the magnificent tropical species that make their into the southeast corner of the state, and there are also the common desert dwellers like the Gila Woodpecker, which is seldom found outside of Arizona. And yet, it was the somewhat drab and abrasive-souding Cactus Wren that won high office. The Cactus Wren is the largest wren in North America, and it is probably the loudest. This curious and courageous bird can be found almost anywhere in southern Arizona, New Mexico, California, and Texas, though it seldom strays into elevations above 4,000 feet. Unlike the other wrens, which also tend to be less gregarious, the Cactus Wren feels very comfortable both out in the open and near people. The fact that it is fairly common and conspicuous were likely the determining factors in its election as a state representative. It is also unique among the wrens in that it keeps its tail pointing downward, using it to help balance as it scurries along tree branches and under shrubs in search of food. As one might expect, they also make ready meals out of the prickly pear and other cactus fruit that abound in their desert scrub habitat. 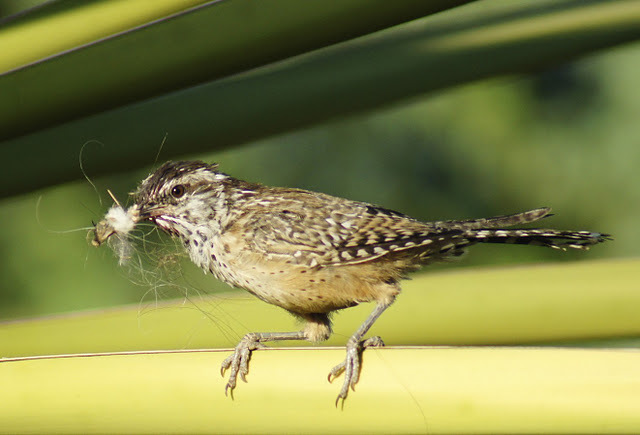 Cactus Wrens mate for life and are prolific nest builders. The male will often build 6 or 7 nests, mostly to serve as decoys and larders, before the female picks her favorite and lays her eggs. They like to nest in the cholla cactus and yucca plants around the Desert Botanical Gardens in Phoenix, and will use all kinds of materials in their homemaking. 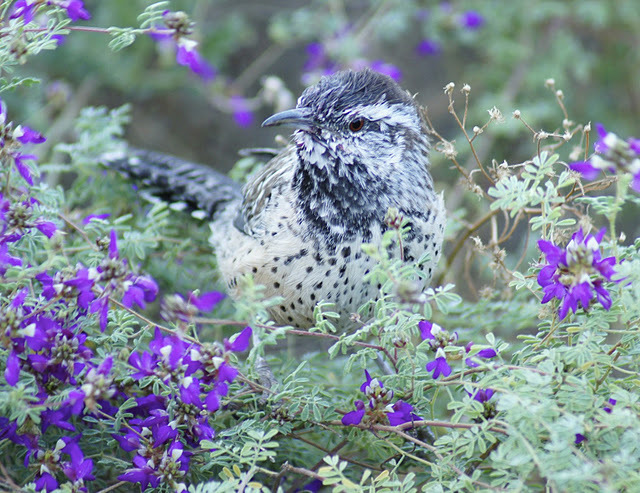 There is some debate as to how well the Cactus Wren's strengths and virtues embody those of the average Arizonan. We don't tend to be too loud or exceptionally large for our species. Then again, Arizona did have a booming housing market, like the Cactus Wrens, and we do tend to keep our tails pointed downwards, so maybe there is something to it after all. Birding is fun, and it's interesting to explore all of the different ways that birds impact and express aspects of our culture, even in ways we might not expect. What are some other fun state birds and their connections to the states? How do these birds affect you? Is yours a good representative, or would you elect another this year, if possible? This is a fun post Laurence, I especially liked your Cactus Wren images and your narrative about it. ...interesting post! I also like the photos of the cactus wren and Mia's photo of the pheasant. Fun post Laurence. Playing the State Bird game during my recent review of NatureTap was interesting. Meadowlark is also a very popular state bird. Excellent post and awesome pictures. Esp. of the Cactus Wren!! That is an interesting story about the Bluebirds, Robert, and they're pretty nice mascots aren't they? Chickadees are also inspirational. Both bubbly and stoic all at once, they're a pleasure to see. I would like to know how/why Delaware chose the Blue Hen Chicken. Great post Laurence! 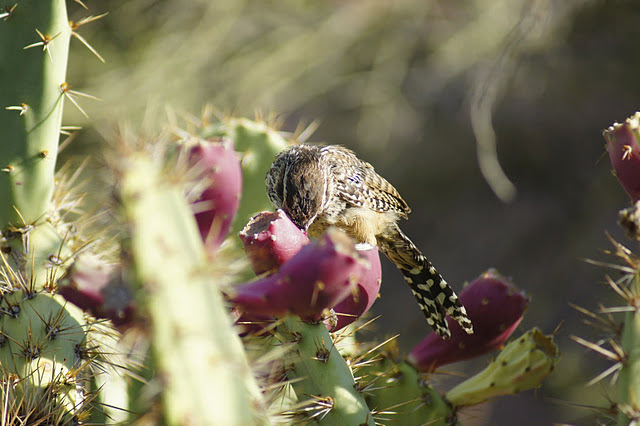 I also really like the Cactus Wren photos. 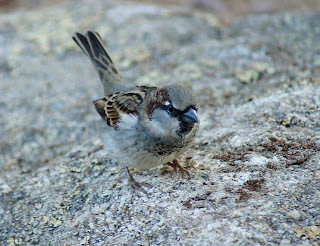 Really nice post on some interesting history on birds. Our state bird in Washington is the Goldfinch. Great post, Lawrence and Maria! Kenn and I were in AZ this fall and visited a pretty spectacular private nature preserve. The owner was feeding Cactus Wrens (and Roadrunners!) from his hand! I'm working on a blog post about the experience. Thanks for all the great info and for the lovely images! Wonderful, fun post! I enjoyed reading about how some states came up with their state birds. Splendid photographs to accompany your narrative! 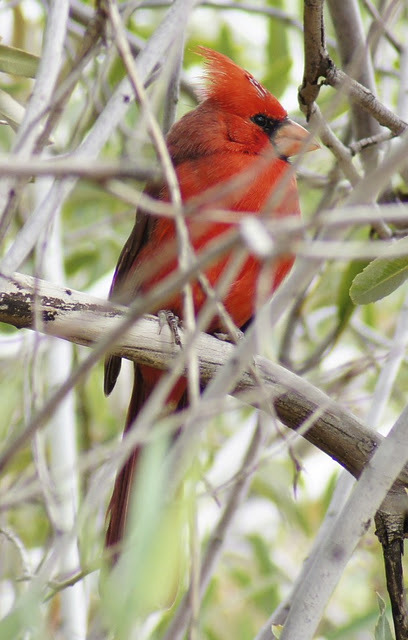 I will have to look into how the Northern Cardinal was named state bird of Illinois.